While living in a small apartment, I set out to design a table that could be easily stored when not in use. 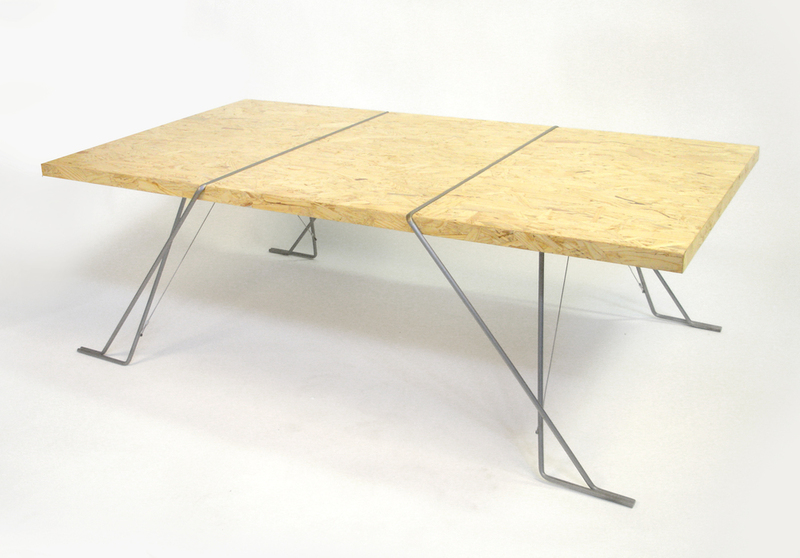 By having the legs leverage against the top to maintain their position, the table can be assembled without any tools. By introducing thin cables to the legs, I was able to scale down the tubing diameter while maintaining strength.